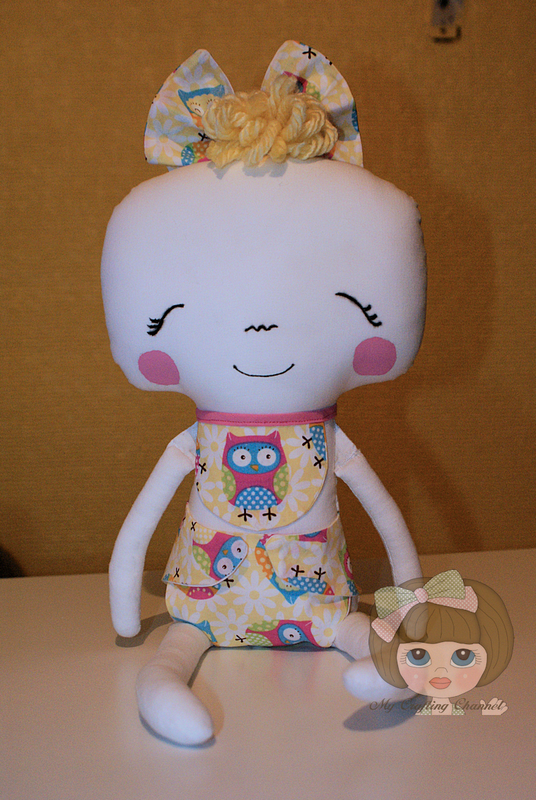 I was not able to get this doll ready in time for our first posting. 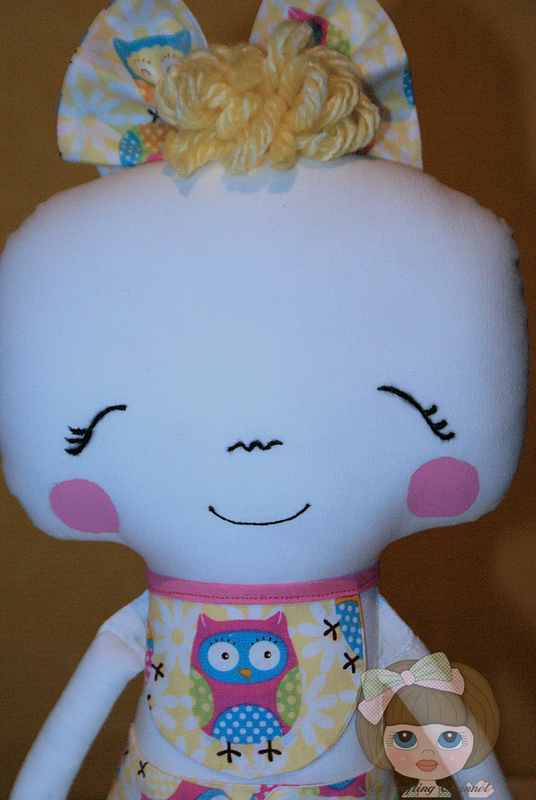 This is what the winner will receive for our Doll Challenge over at 2 Creative Chicks. This was such fun to make. I did change a few things from the pattern. As you can see I did not use the felt hair but opted to use yarn and a bow. I did not use felt for the cheeks but rather painted them on as well as painted the face instead of floss. I also did not use felt for the diaper but instead use the same print as the bib and lined it as well. She does not have a name, she is waiting for her new home. I love how she turned out what do you think. Monday Handmade Linkup Party #20! Hop on over and link up a doll today. It can be made out of anything. Oh how cute!!! She is just adorable in her owl outfit! You did a wonderful job! Precious! Sam must be thrilled because she has blush on her cheeks! OMG this doll is adorable!! I love her hair bow and her owl outfit!!! Love this doll!!! Have a great day. This is fabulous Nana, love your owl fabric. All the dolls look lovely but I love yours the best lol. She is Precious!! You did an AMAZING job on her!!! Really SWEET! Oh my goodness - what an adorable little doll! You did an amazing job on this cutie pie! Love her curly yellow hair and super sweet face. She is just darling! THIS IS THE SWEETEST DOLL!! I LOVE IT. YOU DID SUCH A GREAT JOB, NANA. Omg, what a CUTE doll! Her adorable yellow hair and awesome little outfit is just incredible! She is so super sweet! Someone will LOVE receiving her!! Great job Nana! Thanks for sharing at Monday Handmade Linkup party!